As i've said before my Great Grandmother aside from having wonderful handwriting, was very organised. 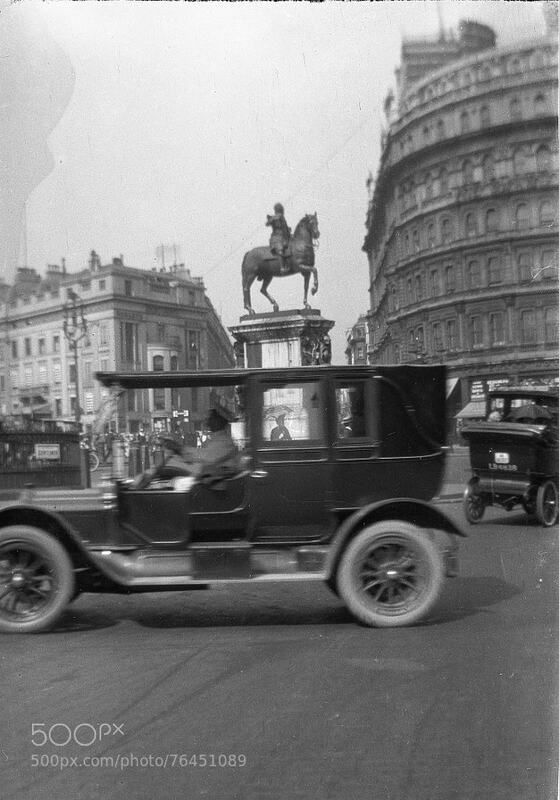 The first set of photos were in an envelope labelled "Good Negatives of London 2nd-9th 1915". That is pretty specific, for I am assuming a label that was applied after the fact. Sadly, I know this to be incorrect. 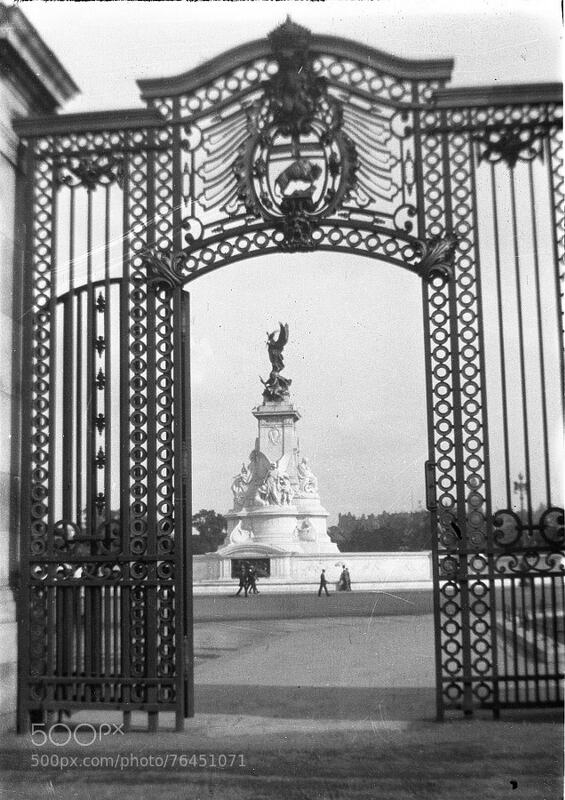 This is the Victoria Memorial outside Buckingham Palace. Notice the bronze statue on top. 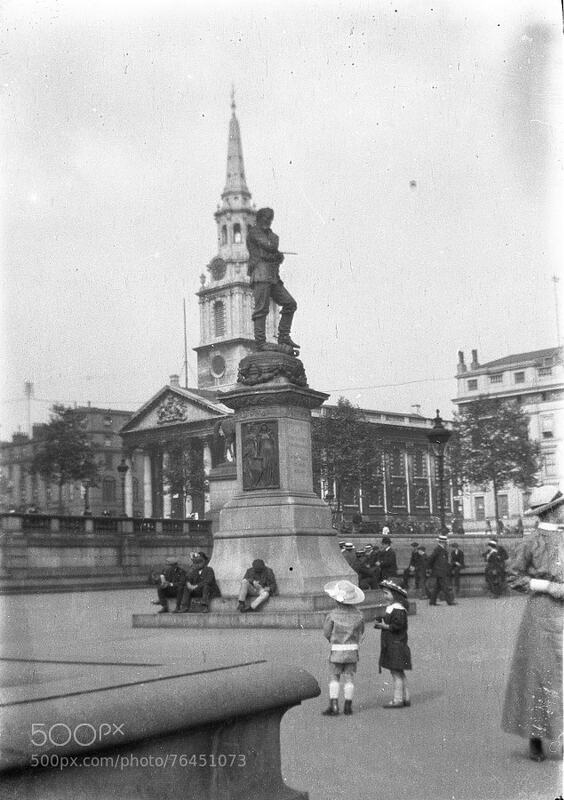 This wasn't completed until 1924, the photo couldn't have been taken in 1915. For the sake of further research, I've decided my Great Grandmother's handwriting isn't in fact perfect, and it actually says "1925". If anyone else wants to venture a more precise date based on the content of the photos in this album. Please let me know. 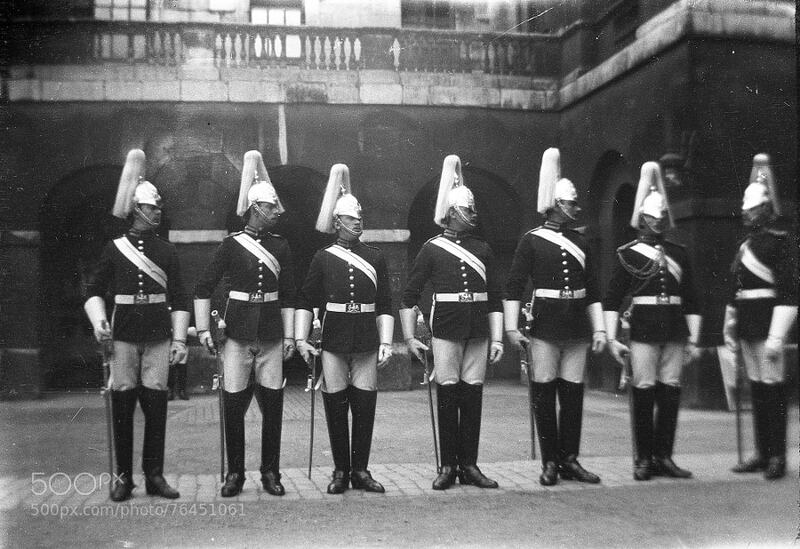 These photo's are as you can tell from the envelope label, taken on a family trip to London. 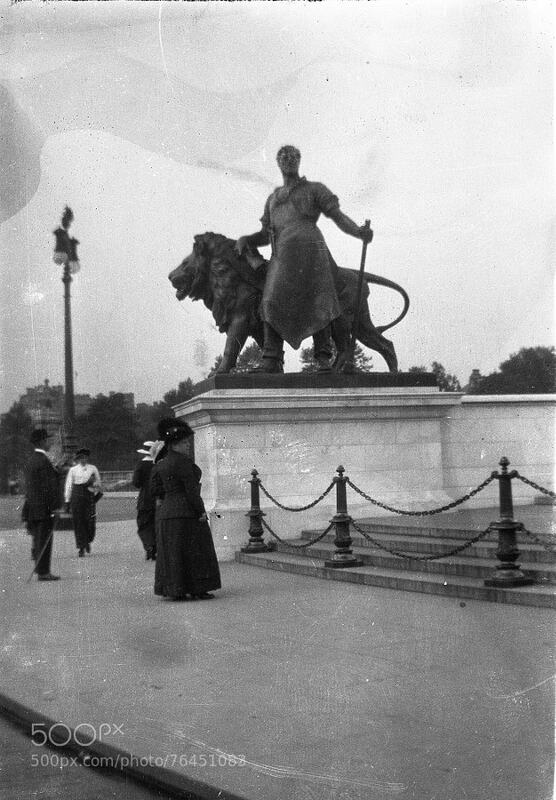 Here's another photo at the Victoria Memorial. It is amazing to see the streets of London with so few cars. Also, the clothes they were wearing. They also visited London Zoo. 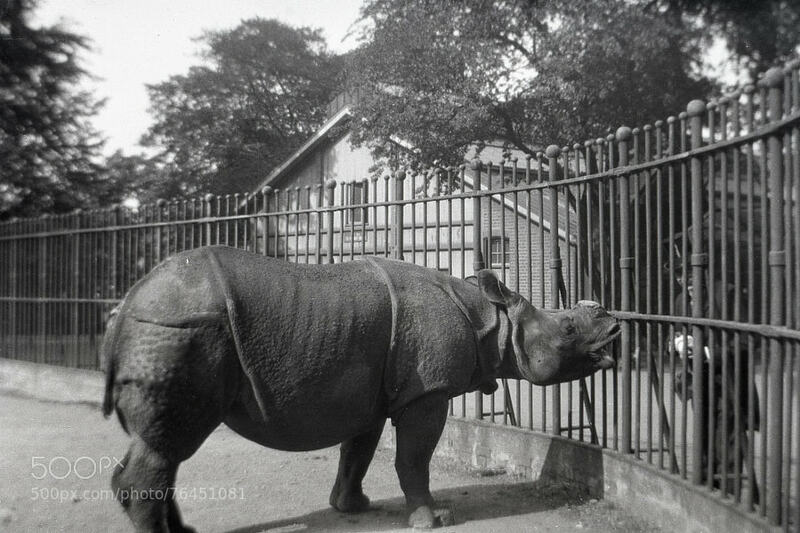 I am not sure why this Rhino doesn't have a horn, perhaps it was removed before it was sold to the Zoo, or by the Zoo itself. It does appear that some photos have been muddled over time. 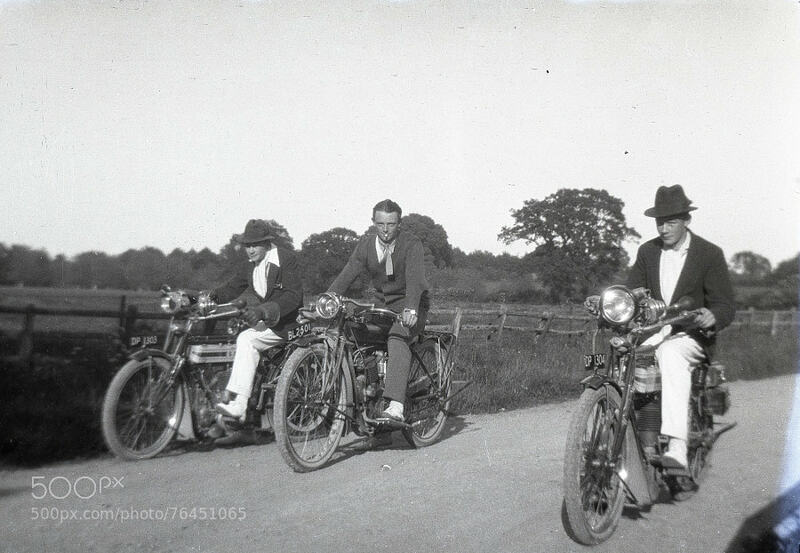 This is my Great Grandmother's brother John on his motorbike with his friends. It doesn't appear to be in London. Perhaps it was on the same roll of film as the others - or as I say muddled up.